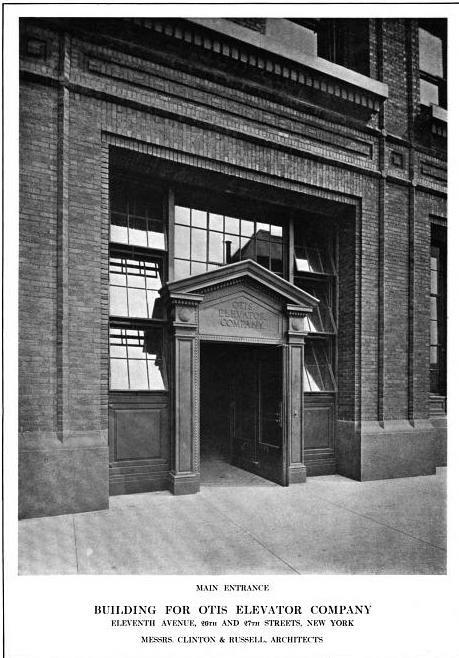 The Otis Elevator Company Building designed by Clinton & Russell c. 1912 at 260 Eleventh Avenue in New York City. 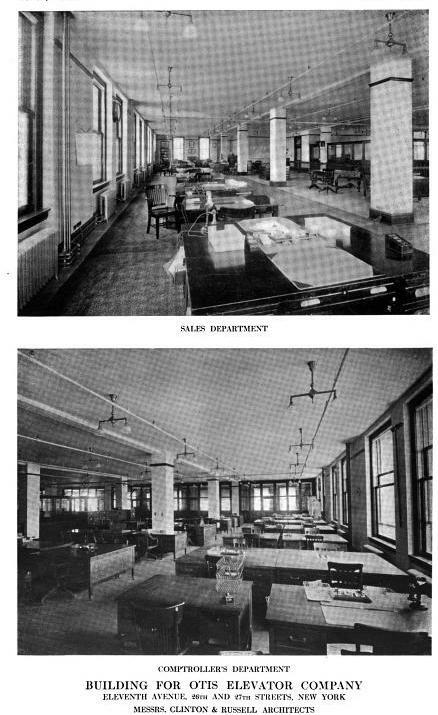 Otis occupied the building from 1912 to 1973 housing offices on the top floors and machine shops and stock rooms on the lower floors. Click HERE to see the Otis Elevator Company Building on google earth. 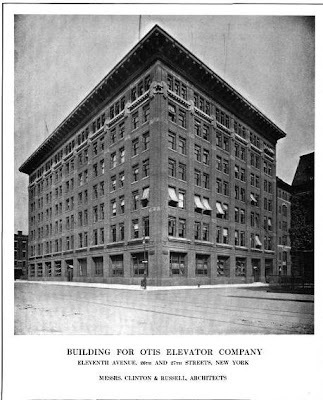 All skyscraper lovers must bow down to honor the great Otis Elevator Company. 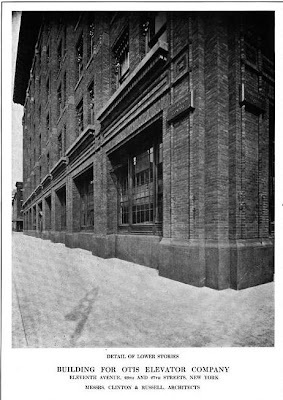 A pioneer in vertical transportation that permitted prime office/apartment buildings to feasibly go higher than 6 or 7 stories. 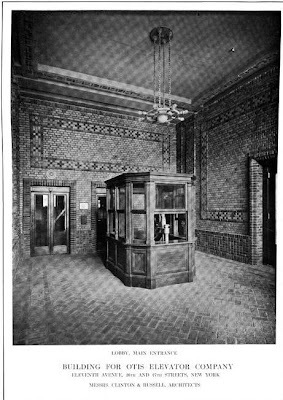 One would not have the early Chicago and NY skyscraper landmarks or anything that has followed to the deserts of Dubai or the shores of Shanghai.